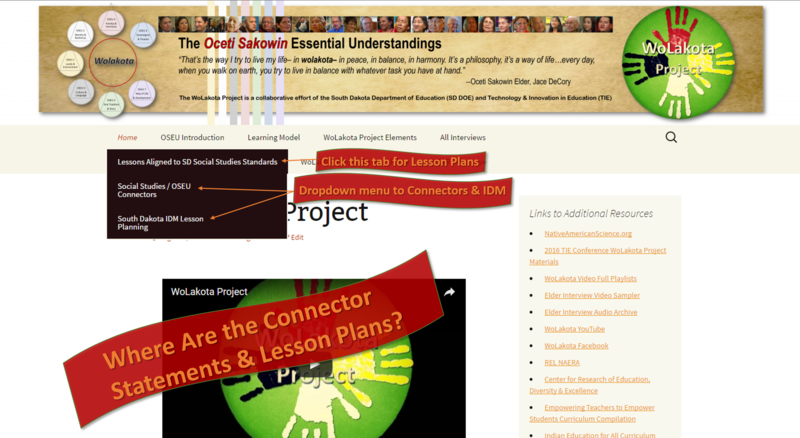 What are the Social Studies “Connector Statements” and where are the SD SS & OSEU Exemplar Lesson Plans? 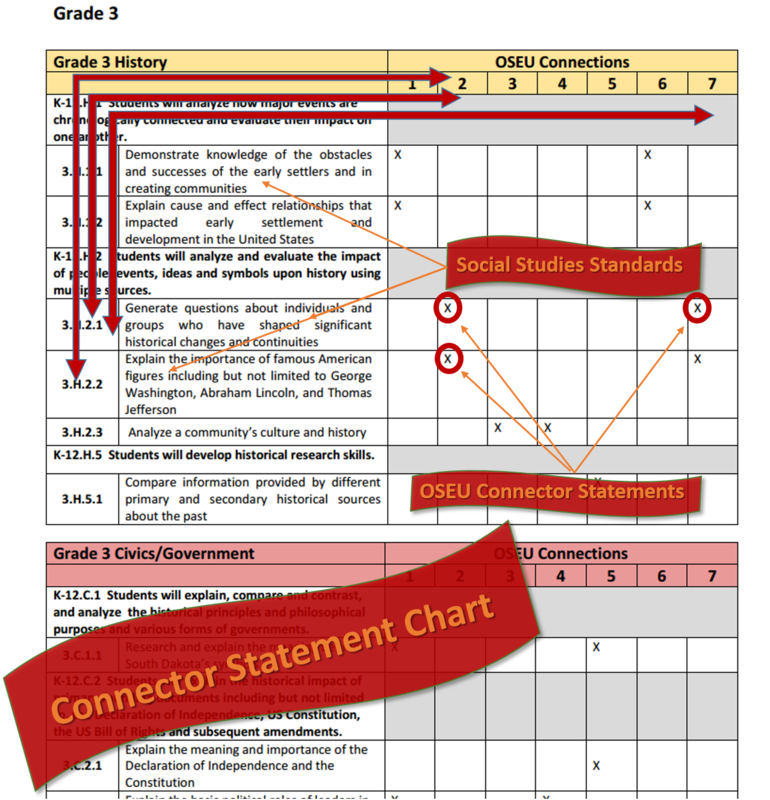 In this unit, you’ll find out about the SD Social Studies & OSEU “Connector Statements” and the Social Studies standards & OSEU aligned exemplar lesson plans developed by the state. You’ll also have an “in depth” experience with one of those lesson plans. 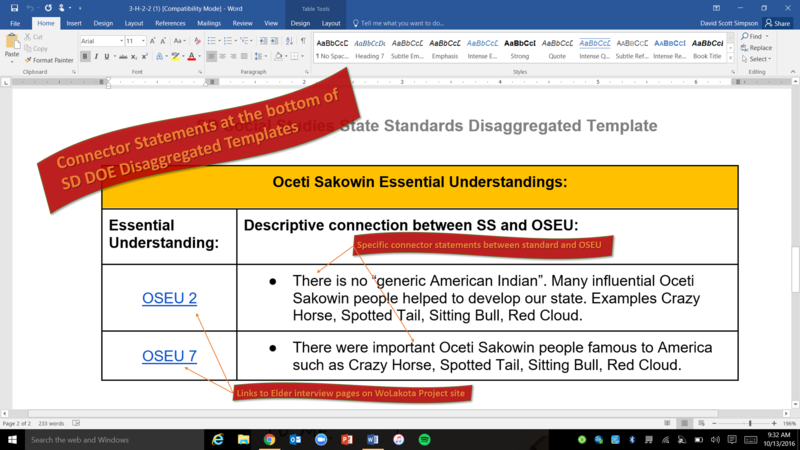 The screen images above should help you as you use the link above to visit the DOE disaggregated Social Studies standards and OSEU page and find a SD Social Studies standard that has an OSEU connector statement YOU might use to begin building a lesson. 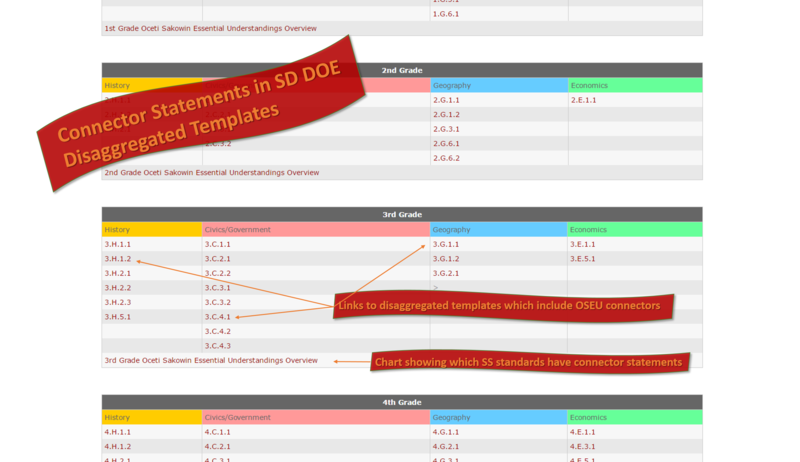 Once you visit the page and scroll down to the links, you’ll need to use the OSEU overview link to find out which standards have OSEU connector statements. Once you’ve found a standard that has a connector, use the disaggregated template link for that standard and find the connector statement(s) at the bottom of the template. Use the link above to visit the Social Studies lesson plans page and explore some Exemplar lessons that fall into your grade level.